Gaisano Grand Mall Koronadal Job Hiring! 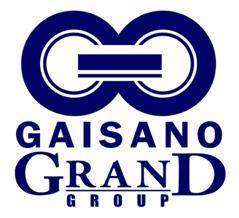 Check out the list of job vacancies announced by the GAISANO GRAND GROUP OF COMPANIES and posted at Jobstreet.com last October 4, 2011. These are job vacancies for the soon to open GAISANO GRAND MALL KORONADAL and other Gaisano Grand branches in Digos and Toril. Candidates must possess at least a High School Diploma, Vocational Diploma, Short Course Certificate, any field. Fresh graduates/ Entry Level positions are encouraged to apply. If you think you are qualified in any position listed above, you may apply by sending your comprehensive Resume and application letter addressed to GAISANO GRAND GROUP OF COMPANIES and send to jobhunt@gaisanogrand.com not later than December 3, 2011.